New titles have been added to the Xbox One X enhanced backward compatibility library, and it will please many a Valve fan. Starting today, four Xbox 360 Valve titles will be added to the Xbox One X enahnced backward compatibility library. 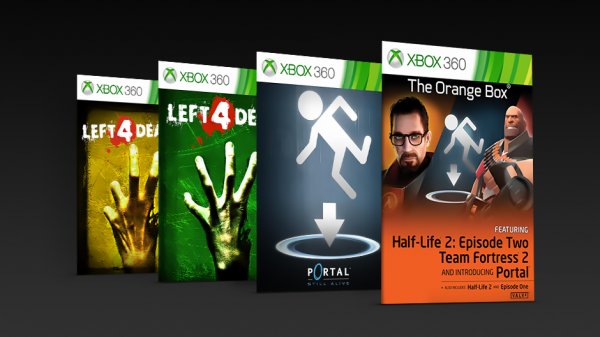 From today, Xbox One users can play Half-Life 2: The Orange Box, Portal: Still Alive, Left 4 Dead, and Left 4 Dead 2 on Xbox One X in full glory. Technically, users will be getting more than just four games, because Half-Life 2: The Orange Box also contains Portal, and Team Fortress 2. Today’s additions join the 17 previously released Xbox 360 enhanced games for Xbox One X. So not only do the Valve titles already look and run nicely on Xbox One, they’ll now look rather spiffy on the X. At present, the backward compatible library includes over 500 Xbox 360 games, 21 enhanced for Xbox One X, and 32 original Xbox games.